2017 will mark the start of the next chapter in Hayley Jones's career as she moves to the road full time with Team WNT. The former junior world champion in the team pursuit had returned to British Cycling Academy in 2016 looking to restart her track career. Selection for the under 23 European Championships soon followed but with only a ride in the individual pursuit and not the team event Jones started thinking about the future. 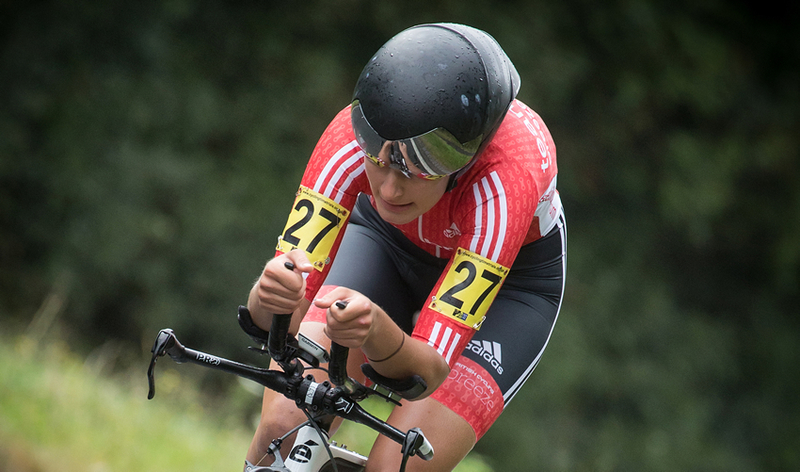 Enjoyment racing on the road including selection for the European Championships and the decision by British Cycling not to renew her contract for 2017 helped Jones make the decision to instead move to the road. With Team WNT making the step up to UCI level in 2017 a mix of UCI races across Europe and domestic racing in Great Britain offers Jones an opportunity to develop and test herself in her first year professional. After returning to Queensland for the summer Jones is aiming to start 2017 with a bang with the Australian summer of racing before heading to Wales for the 2017 season. You were selected for the U23 European Track Championships but rode only the IP on the first day how disappointing was it to miss selection for the TP with it having been a major focus for you and one of the few opportunities you had? It was very disappointing, after only getting back on the track in May to build up towards Europeans all my efforts were put into making the team for the team pursuit, to find out on arrival I wasn't going to be in the team and I would ride the individual pursuit, this was disappointing as I had done no individual training. Strong showing at the criterium national championships and then you raced your first World Tour race at Ride London against a strong field how did you find it? I felt terrible in the National Criterium, probably the worst I had all year in a race, this made me very nervous for Ride London as it had such a stacked field. I knew the race would be all about positioning because of the course, I made sure I was at the front of the race and I had one of my best races of the year. I felt super strong throughout and held position without a problem. Hopefully I get to have another go next year with my new team WNT. Then selected for your second European Championships of the year this time on the road what was the experience like? I was a little surprised to be selected but as it was and all U23 team it was a great opportunity, as I wrote when I blogged I didn't have a good race and the climb really took it out of me, but I couldn't let that get me down, I had to move on and now look forward to 2017. With limited UCI races on the road over the past couple of years was it a big step up this year? This year was a step up, going into some more UCI races, but it was good that it was also mixed with some national level races. I found I was a lot stronger and wasn't intimidated in the bunch of the big races like I used to be and moving forward into next year I will use the experience and gain some more with my focus being purely on the road. Not offered a spot on the British Cycling Academy for the coming season. Was it difficult to hear or something you had been expecting? Had gone back to the UK for the track and while it didn't work out it has resulted in you finding enjoyment and a greater passion for the road? I will always want to ride some track as its where I first started riding but I have definitely found the passion for the road this past season. Taking some time away from cycling and two years away from riding team pursuit I was playing a lot of catch up but on the road I really started to find my legs. In the past I have always struggled with the road and mainly climbing but I put a lot of effort into improving on my weaknesses in the 15-16 summer and it paid off. Compared to when you went over in April how did the season go? What you expected? Better? Worse? Any regrets on going back? I feel the season went well, it was a little different to how I expected, the first track session I did I thought there is no chance I will ride Europeans but within a couple of weeks I had found some track legs. I was surprised at how much stronger on the road I became after a good summer in Australia, this made the racing much more enjoyable, I wasn't just trying to "get round" I actually was trying to race. You have signed with WNT for 2017 how did the opportunity come about? WNT are one of the major British national level teams, I have seen them at all the races this past season and when I decided to look into moving my focus to road I thought about what teams I should try and talk to. I knew WNT were looking to become a UCI Team in 2017 and that they had a very good set up so I contacted them about a possible position on their team for next season. What are you most looking forward to and what do you think the biggest challenge will be? I am most looking forward to just being able to race next year with a line up of mainly UCI races with also a target on the Tour Series in Britain, I love this series so I am hoping to get to ride some of them and improve on how this year went. My biggest challenge will be making myself a contender in the bigger races. I don't want to just be sat in races I want to be able to do something. While the team is moving to UCI level in 2017 but a combination of domestic and UCI racing in Europe is ideal for your first full time road season? This is a very ideal situation for me, I will gain a lot of experience to take forward from this season by racing the UCI level races, but with the domestic races it is a chance for the team to really show what we can do as a team. Looking to start the season on a strong note with the Australian summer of racing? Hopefully I will be racing here in Australia this summer, it's always good to get some early season racing in as it helps bring on some form but also it is important to remember there is still eight or nine months of the season ahead. Have had a lot of success on the track from junior world champion and riding at World Cups is it difficult to leave that behind or looking forward to the next step in your career on the road? I'm more looking forward to moving onto the road, track was good and I will always love to race it, one day I might go back but for now I am focusing on the season ahead and the next few years on the road.